The King has risen and sits on His throne. Thanks be to God! I arose with the alarm at seven. It was six according to body clock, but we moved forward last night. I had decided to go to DelPest church. It is totally Hungarian, no English. Why? Well, today I had no preaching assignment. But I know this church and many of its folks I consider friends. There are several English speaking churches in town. But I chose a church with faces I knew that I could greet and wish a blessing upon and receive a blessing from without English. I figured that to be in fellowship in Hungarian with people I know (without knowing exactly what Laci was preaching ) was better than hearing English with people who were unknown to me. I was right. As it turns out, I could tell from the text (Matt. 5:38-48), the faces of my fellow worshippers, the preacher’s expressions and the odd word here and there that these hard words of Jesus were being preached… with care. So, I did get it. I decided that my job was to pray as Laci preached. Afterward, there were encouraging conversations and a lunch invitation! Yeah, I made the right decision. A strong word preached, fellowship and extended time with fellow followers of the risen Jesus. Yes, it is a distant second to being home with family on Becca’s 30th, I missed them dearly this morning. But, I am content in the Lord. Last night I worshiped God during Bach’s sacred work. The singing was in German which, because of the similarities, allowed me to follow the music and singing which was taken from Matthew 26 & 27. There was a formality that is normal at the Opera House that lended to the sacredness and facilitated my own worship of God as I heard these chapters in amazing music. This morning I followed with Isa. 53 and Rom. 5. 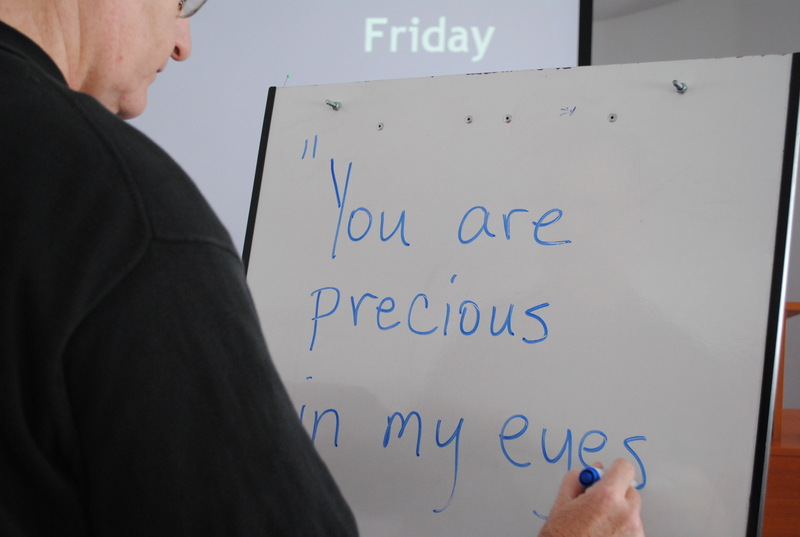 Meditate on His great love for you… YOU are precious (Isa. 43.4) to Him. While laying in the bed in a Croatian hotel with the flu recently, I saw Dr. Oz (yes, he was on in Zagreb in the late afternoon) tell his viewers to fight age (or something) by going to bed at 10. Getting ample sleep is important he said. I mention this because I learned from a young pastor yesterday that in their town in Serbia, you wait until after 11pm to run the washing machine because the price of electricity after 11 is less than half price. Sorry Dr. Oz. We must consider cultural context carefully. It is appropriate that I finished reading Alister McGrath’s recent work about C.S.Lewis titled A Life: Eccentric Genius, Reluctant Prophet on a train from Budapest to Szeged. It is appropriate for a lot of reasons. Lewis had a baptism of imagination by reading a book on a train and, were it not for Lewis, I probably would not be on this train. His impact and influence on me was so profound that I believe that God used Lewis in a big way to develop me and my calling. What is the goal of this book? It seems to me that the goal of this book is to help the serious Lewis student better understand the why behind the what. I think Lewis would approve. 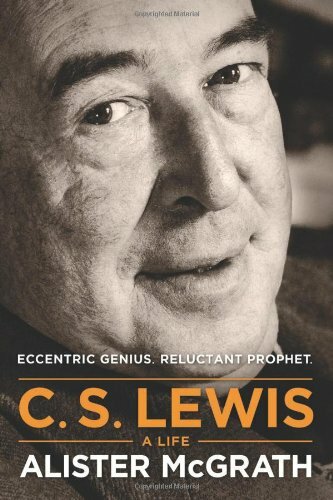 McGrath gives us plenty of the life and events of the man to help us understand the many and varied contexts of C.S.Lewis. Indeed, McGrath has given the best understanding yet (time is on his side… documents have been ‘recently’ uncovered) of Joy’s role in Jack’s life. If my suggestion on the purpose of the book is close to accurate, McGrath has nailed it. Nowhere, have I read anything which helps the student of Lewis understand his context. Getting context helps us get better at understanding the meaning of Lewis, and I am very sure that Lewis would have been pleased with that. As I reflect on what I have just read, I guess I do have one fault to bring forth. If you, like me, enjoy and profit from Lewis’ essays and sermons (“God in the Dock” comes to mind), you will find precious little in this work about them or from them. There is a fair amount of information that McGrath brings in from letters, but precious little from the sermons and essays. I suppose space may have been an issue. I have this book in my Kindle apps and so I have no idea how big the book is, but with 774 footnotes (yes, 774, I did not mistype, you did not misread) this has to be a good sized book. When I get home, I will need to buy the actual book now and place it on that top shelf in the library where the books by and about Lewis reside in my office. But, back to my point, I wish in a future edition, McGrath’s insights into the essays and printed sermons would be included. I think that his insights into these resources would be helpful to us who study and learn from Lewis. I suppose that the most significant thing I learned from this book is from McGrath’s emphasis on how important Tolkien was to Lewis and vise-versa. This is a pretty significant relationship and McGrath brought it to light, especially how they helped each others as writers in community (a book about that is on my bed table at home). I just scrolled through the highlights in my Kindle, there are just too many to talk about.But there are three that I must mention. McGrath rightly provides the reader with a discussion about not just understanding but getting to meaning. This was important to Lewis and Tolkien. I was encouraged to read the emphasis on the “ trans-denominational” nature of Lewis’ work. Finally, I was pleased to read the discussion on how Lewis, as opposed to others who were more reason based, became a voice to Postmodernism since he emphasized imagination and story, we have much to learn here. There are other things: time, periods of time are constructs (the renaissance isn’t a fact with an objective date), and that the test of communication is the ability of a common man to understand you should provoke thought. That is what a great book does. Did I just call this a great book? Well, that is for bigger minds than mine to decide. Oh, how I wish I had had this when I taught Mere Christianity those blessed years of arguing with eighteen-year-olds for a living (yes Bryan, you need this book. Carol, buy it for him! You too, Luke… that Ethics class needs some Lewis!) I recommend this book without reservation. It will be helpful to people who use Lewis in their teaching or in their study. It occurs to me that this book helps in understanding the meaning of C.S.Lewis the way that F.F. Bruce’s Paul: The Apostle of the Heart Set Free did for Paul (which sits on the top shelf of the next book shelf). Yes, I just put McGrath in a league with Bruce, and yes, I just put Lewis and Paul together. Lewis will grimace, Paul will offer a high five. You simply need to read the book. 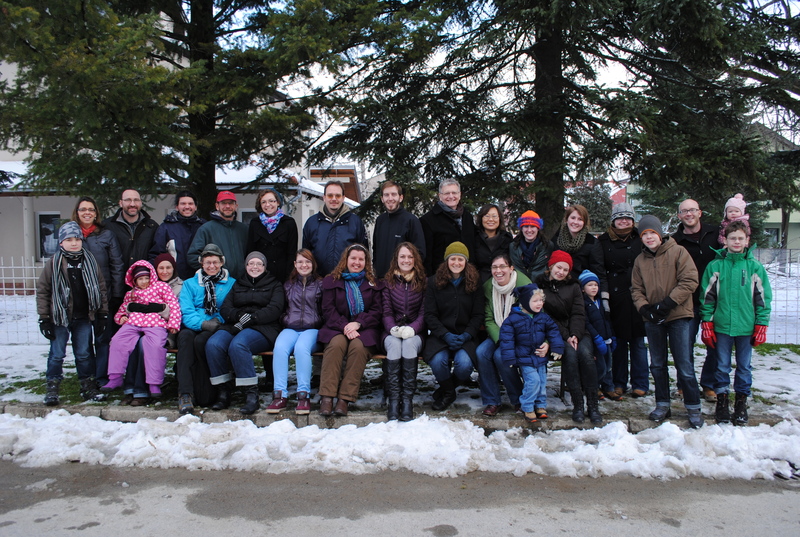 Our Gathering was a blessing… lots of laughter! ALSO, I have UPDATED the trip plan with the amazing saga of the last week’s events… CLICK HERE, open and read the right column, God is great in the midst of difficult circumstances.